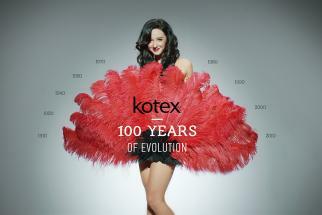 A campaign by Kimberly-Clark Corp.'s U by Kotex aims to dispel the idea that periods change how women act, what they say and how they say it -- and argues that men actually have hormonal cycles very similar to women. The company began the #ItsNotMyPeriod campaign in Canada in September and has adapted it for Australia and Argentina as well. It may come to the U.S. eventually, according to a spokesman, though there are no immediate plans. The notion that women act differently or say things because of menstruation has a long history. During U.S. election season, it was the center of the feud between Donald Trump and Fox News anchor Megyn Kelly, when he said she had "blood coming out of her whatever" after she posed tough questions in an August 2015 Republican presidential debate. It also played out in a successful 1991 criminal defense in which premenstrual syndrome may have helped a Viriginia surgeon get acquitted on a drunk-driving charge and various cases in the U.S., U.K. and France where lawyers cited it as a mitigating circumstance for women accused of violent crimes. A video for U by Kotex from WPP's Ogilvy & Mather Toronto with help from affiliates in Colombia and the U.K. shows a skit with a female prosecutor making heated comments to colleagues about problems in a case. Men and women watching the skit are asked to identify which of the women is having her period. All point to the prosecutor and make unflattering remarks about her behavior. But later they acknowledge that she seemed most like the leader of the group, and like someone they'd like to have on their own team. The insights behind the campaign came out of a "social experiment" that included a wide range of age groups of men and women, said Ogilvy Toronto Chief Creative Officer Ian MacKellar. "One of the women was over 60, and her experience was very similar to that of women in their 20s, which suggests it's always been there behind the scenes," he said. "For too long a period has been used to explain a woman's behavior or her point of view or emotions, whether she's on her period or not," said Leslie Mackay, U by Kotex director of marketing and sales for Canada. "Because U by Kotex is so comfortable telling it like it is, and that a period is a natural part of being a woman, I think it's just time to start treating them that way." It's not just a problem that men inflict on women, she said. "Sometimes as women we will defer to claiming it's that time of the month because we've reacted to something strongly and seen the reaction on someone's face," Ms. Mackay said. "One thing that was really interesting when we did the research into periods and hormones was that these hormonal fluctuations in a month's time that a woman experiences are no different than what a man experiences throughout a month." Read the full story, and more about men's monthly emotional landscapes, on Adage.com.